WELCOME TO OUR HOLIDAY VILLA IN UMBRIA! Let’s experience a touch of modern architecture immersed in gorgeous landscape of Umbria. A spacious holiday villa in Umbria with welcoming rooms and a stunning swimming pool is right here for you. Villa del Colibri has outstanding panoramic views of Umbrian countryside. Throughout the villa you will find a lovely mixture of antique furniture and modern fittings. The property interior is contemporary and spacious – a well equipped kitchen next to the dining room with a table for 14. The sitting room is at the center of the house with an open fireplace, comfortable furniture and TV.Off the sitting room is a terrace with a large stone al fresco dining table. From here, you can see panoramic views of the surrounding countryside. This patio is furnished both for outdoor dining as well as relaxing on the lovely outdoor furniture. 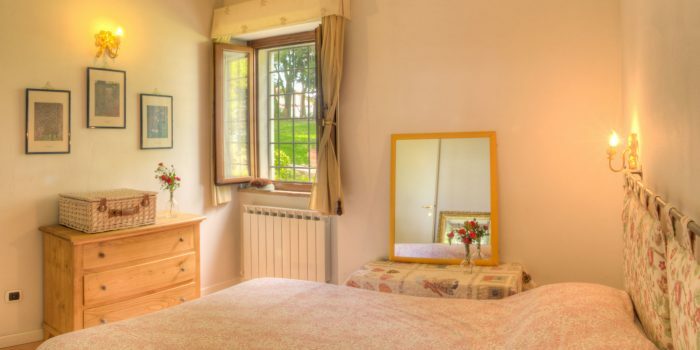 Set on a hillside, the property is a beautiful private holiday villa in Umbria. It is a peaceful and comfortable place for you, your family and friends. Far out from the busy pace of Rome and Florence or tourist hustles in Tuscany, Villa del Colibri area still remains the 12th-century scenery. Come to our holiday villa in Umbria and experience the greatness yourself! It is not only about your stay at our holiday villa in Umbria, but it is also about your great experience in Umbria and meeting new interesting people. Let’s explore the activities that we offer to enjoy your holiday experience at its best. This large Villa was perfection! There was ample room for large families with children. The house is full of amenities: well-stocked kitchen, comfortable living rooms, large dining area, and glorious whirlpool tubs. Hollywood style pool with the best view in the world! We relaxed for the whole week and highly recommend it, as well as the region. We also did a cycling tour of the vineyards! Amazing! Thanks Mario & Mila! We had a Family Reunion and rented several facilities in the area and this one was definitely our favorite one ! The 7 bedrooms all have spacious and bright bathrooms, one with a Jacuzzi! The house is in a beautiful situation with gorgeous views and a fantastic pool where we had lots of fun. There are plenty of shaded areas around the house for sitting out and relaxing. Very comfortable villa indeed with good amenities, location and access. This region of Umbria is magical and a real snapshot back in time. We look forward to a return journey. A modern house with lots of areas to sit around and talk and eat! A lovely swimming pool with great views of the surrounding hills.There is also many pretty outdoor spaces with hammocks and relaxing chairs to sit and read.